Requesting a prayer for the healing of my boyfriend to be completely delivered from the addiction of seeing immoral images and be restored with the grace of chastely of eyes, heart, and mind. In addition, that God may bless us with the sacrament of marriage if it is His will. 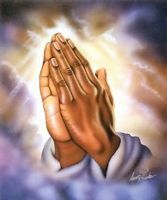 In Jesus name, I pray Amen. God bless you and thank you for your prayers in advance.